As summer approaches and temperatures rise, many homeowners may wonder how to stay cool on a budget, as running air conditioning and heating units can account for as much as 50 percent of utility bills. One option is to purchase or upgrade to a more energy efficient unit. While the initial cost of purchasing one may be steep, the unit will likely save money over time by lowering utility bills. For example, an Energy Star certified model could cut cooling costs by 30 percent. Before making a purchase, it may be worthwhile to learn more about the Energy Star program and what the various efficiency ratings mean. In an effort to reduce greenhouse gas emissions, the U.S. Environmental Protection Agency (EPA) created the Energy Star program in 1992. The objective of Energy Star was to introduce a clear, voluntary labeling program to identify and encourage the use of energy-efficient items. However, these labeling procedures did not begin to affect the HVAC/R industry until 1995, when office equipment and home heating and cooling systems began to receive an Energy Star rating. Today, most major appliances, lighting applications, electronics, homes and even entire commercial structures are all assigned an Energy Star rating. When walking along the aisles of major appliance retailers, it is common to see large, yellow stickers on many of the items indicating each one’s operating cost and energy efficiency rating. These stickers are Energy Star ratings. Discerning the various ratings, which are oftentimes represented by acronyms, can be confusing. Below is a list of definitions of some of the most common ones. British Thermal Units (BTUs): In order to understand how Energy Star ratings work, one must know the meaning of BTUs. A BTU is a traditional unit of energy that is equivalent to about 1,055 joules, which is the amount of energy necessary to raise the temperature of one pound of liquid water by one degree Fahrenheit at the temperature at which water has its greatest density (39 degrees Fahrenheit). BTUs are often used as quantitative specifications for the capacity of heating and cooling systems to produce or transfer energy. Seasonal Energy Efficiency Ratio (SEER): A SEER rating is a measure of the ability of an HVAC system to properly cool the home. This rating enables maximum evaluation of a unit’s efficiency during the peak of the cooling season. Furthermore, it compares the total amount of energy required to cool an entire space to the amount of energy required to operate the unit. SEER is calculated by dividing the cooling capacity BTUs by the amount of electricity required to run the unit for a set period of time. High-efficiency units typically have a SEER rating above 13. Energy Efficiency Ratio (EER): This rating is similar to SEER in that it measures the capacity of a system to produce a desirable environment, and it is calculated with the same formula as SEER. However, EER is typically used for room air conditioners while SEER is used for central air conditioning units. Higher EER ratings equate to a more efficient unit. 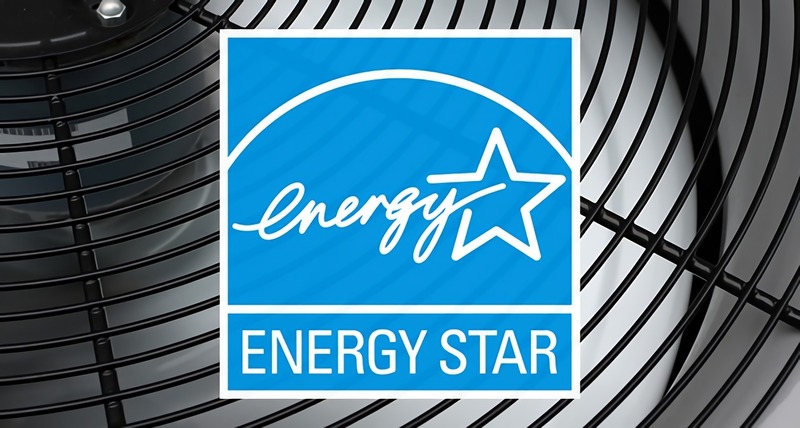 While national appliance standards require room air conditioners to have an EER ranging from 8 to 9.8 or greater, Energy Star units must have even higher ratings. Heating Seasonal Performance Factor (HSPF): This rating evaluates how much energy is required to run the heat pump of a given HVAC system over the course of one heating season. The formula for HSPF is similar to that for calculating SEER and EER: divide the total space heating required during a heating season, expressed in BTUs, by the total electricity consumed by the heat pump during that season. The industry minimum for this rating is 7.7. Integrated Energy Efficiency Ratio (IEER): This newly developed rating provides a comprehensive view into the efficiency of a given HVAC/R system regardless of current season. Letters A through D represent intervals ranging from 100% net conditioning capacity (A) to a low of 25% net conditioning capacity (D). Contractors commonly use this rating as its applications extend to Variable-Refrigerated Flow (VRF) split systems and systems larger than 5 tons capacity. As a result, this ratio provides a way to measure the efficiency of one system against another, different system while under the same environmental conditions. Higher ratings indicate more energy-efficient chilling systems. As the nation works toward greater energy efficiency, the rules and guidelines governing ratings for HVAC/R systems will continue to evolve, just as they have in the past. By understanding the history of these ratings and what they mean, consumers can not only cut costs on their utility bills but also contribute to a cleaner environment. As an industry, HVAC/R is making strides toward improving the energy efficiency of homes and businesses, and HVAC techs will need to be familiar with Energy Star systems. To learn more about entering this exciting field, contact The Refrigeration School today.